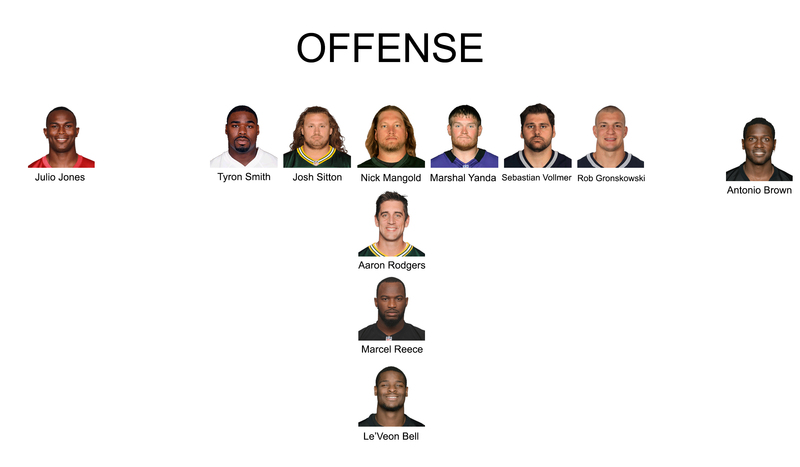 With the Pro Bowl rosters set and the time to evaluate the regular season performances of the players around the league starting, I decided to come up with a roster I think features the NFL’s best players based on what they did this season and who I think give me the best chance to win ball games. On offense I can go with two tight ends, I can go five wide, but also bring in a fullback. 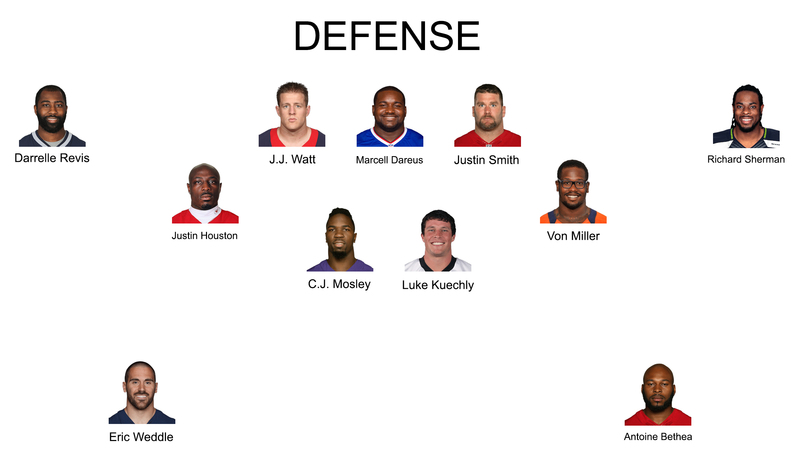 On defense I can line up in a 3-4 as well as a 4-3. I can play man, zone, I can blitz a lot of different guys and push the pocket with only four guys rushing. My roster doesn’t feature guys like Calvin Johnson or A.J. Green, who have missed a couple of games and couldn’t help their teams.